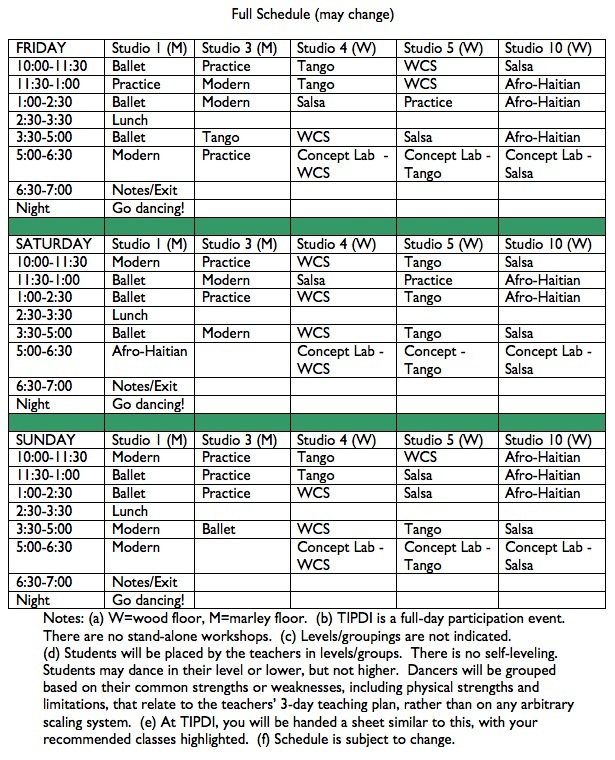 This was our class schedule for 2013. Based on feedback from our awesome, enthusiastic TIPDI alums, we are making some changes for 2014. Keep checking the site, or join our mailing list, so that you can be the first to know about cool additions to the 2014 schedule.